As in much of South America, the largely Catholic nation of Bolivia is experiencing record low levels of church attendance and increased secularization in society. Bolivia which is officially known as the Plurinational State of Bolivia is a country situated in the western region of central South America. The country is the largest landlocked country in the Americas and is bordered by several South American countries including Brazil, Chile, Peru, Paraguay, and Argentina. Bolivia has a multiethnic population of about 11 million people. The constitution of Bolivia supports freedom of worship and also government independence from religion. As in much of South America, the mostly Catholic nation is experiencing low Church attendance and increased secularization, but Catholicism still dominates. In Bolivia, the Roman Catholic Church has continued to dominate as most of the population follows this belief. In the past Roman Catholicism was recognized as the state religion however that changed and Bolivia is now a secular state. Roman Catholicism in Bolivia has its roots in the time when the Spanish conquered Latin America. During the colonial era, most of the clergymen were of European origin. The Catholic Church and the Spanish crown made an agreement known as patronato real which gave the Spanish throne together with its colonial authorities power over the church affairs making the church extremely wealthy. The church and the Bolivian government had an intimate and mutual relationship and were involved in each other's businesses thus giving the Catholic Church a strong influence. After independence the relationship between Bolivia and the Catholic Church started deteriorating especially in 1826 when President Antonio José de Sucre Alcalá started taking control of the tithe collection, taking back lands owned by the Church and closing off all monasteries that had less than 12 people which led to the weakening of the church. In 1906 the Bolivian government announced religious tolerance and the permission to establish other non-Catholic churches these also played a significant role in diminishing the relationship between the two. Roman Catholic Christianity continues to dominate the country accounting for 77% of the population. The Protestant church in Bolivia is an active group that consists of Protestant minorities including the Evangelical Methodists, Anglicanism, and Mennonites. The Mennonites have been in Bolivia since the early 1950's, especially in Santa Cruz. 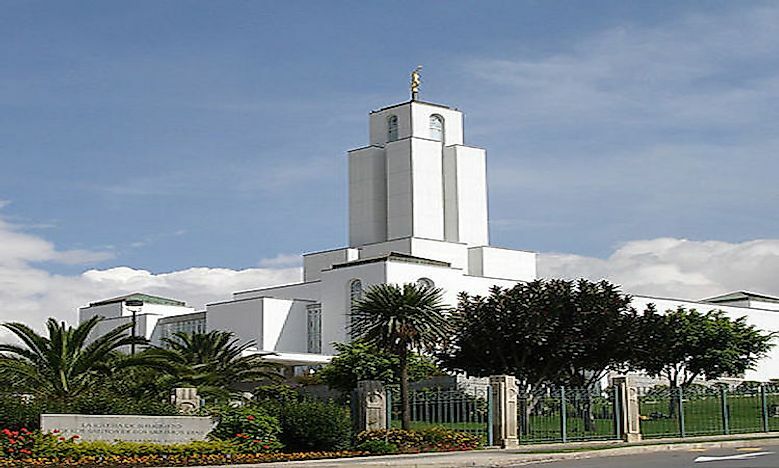 Other Non-Catholic groups include the Mormons, the Jehovah's Witnesses and the Seventh-Day Adventists who have been in Bolivia since the 1980's as well as the rise of Pentecostal denominations that have an increased in population. All these groups account for 18% of the population. Irreligion continues to be an ever-growing trend in Bolivia, recent studies and surveys suggest that more Bolivians especially the younger generation confesses to having no religion. Atheists or Agnostics account for 2% of the population in the country. The Buddhist community in Bolivia is small which has not experienced any discrimination. However, it was reported by the government in 1988 that some religious groups were operating illegally but its attempt to diminish Buddhism were futile and was overturned by the Supreme Court of Justice. Buddhism is now an established educational institution in Bolivia. The first Baha'i is said to have arrived in Bolivia 1940, with some of the natives joining the religion. It is currently said to be the largest international religious minority in Bolivia. Judaism in Bolivia has about five hundred Jews members, making it the smallest community in South America. Other beliefs include traditional beliefs including the Pachamama cult. All these beliefs account for 3% of the population. Despite Roman Catholicism dominating the religion of Bolivian people for centuries, more and more people continue to have more diverse religious beliefs and practices.